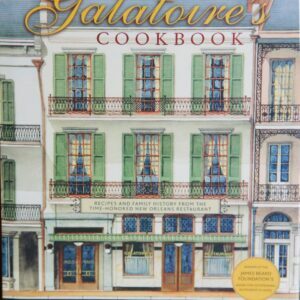 Vintage Chefs’, Celebrities’ and Food Writers’ Cookbooks: Vintage Cookbook’s antique, antiquarian, vintage and rare out-of-print cookbooks written by chefs, food writers, or and famous personalities, including many signed first editions. 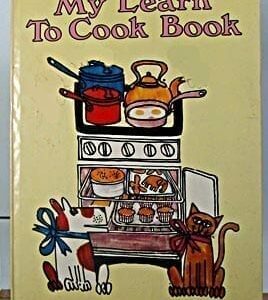 Cookbooks from chefs of the 1920s, 1930s, 1940s, 1950s and 1960s. 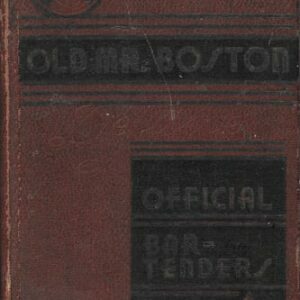 Historic chefs and historic cookbooks. 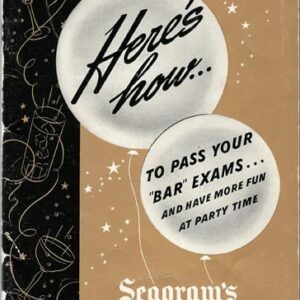 Cross Creek Cookery, First Edition, First Printing, 1942; How to Cook a Wolf, 1942; Singers Swingers in the Kitchen, 1967; James Beard’s American Cookery, First Edition, 1972; Aromas and Flavors of Past and Present, Alice B. Toklas, 1958; Cross Creek Cookery, First Edition, First Printing, 1942; Cook Book by Oscar of the Waldorf, First Edition, Presumed First Printing, 1896; Aromas and Flavours of Past and Present: A Book of Exquisite Cooking, by Alice B. Toklas, 1958, first British edition; Helen Gurley Brown’s Single Girl’s Cookbook, 1969; White Elephant Celebrity Cookbook, 1973, 1979; James Beard’s Theory & Practice of Good Cooking, 1977, First Edition; Monet’s Table Cooking Journals of Claude Monet Monet’s Table: Cooking Journals of Claude Monet, 1989; Guess Who’s in the Kitchen, 1979; Tasha Tudor’s Cookbook, 1993; With Bold Knife and Fork, 1968; Museum of Modern Art Artists’ Cookbook: Conversations with Thirty Contemporary Painters and Sculptors, 1977; 988; Helen Gurley Brown’s Single Girl’s Cookbook, 1969; Alice B. Toklas Cook Book, 1954; Photoplay’s Cook Book: 150 Favorite Recipes of the Stars, 1929; Here Let Us Feast: A Book of Banquets, M.F.K. Fisher, 1946; In Pursuit of Flavor by Edna Lewis, 1988; Alphabet for Gourmets, M.F.K. 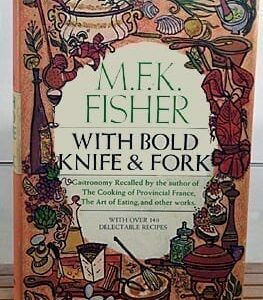 Fisher, 1949; More Recipes With a Jug of Wine, 1956; With Bold Knife and Fork, 1968; Boniface, Goodman Kelleher, A Cook’s Story of His Own Broth, 1945; Dining in New York with Rector, 1939; Julia Child’s The Way to Cook, 1989; Bakery Restaurant Cookbook; French Chef’s Cookbook; With bold Knife and Fork, 1968; With a Jug of Wine, 1949; Cooking Round the World with a Wooden Spoon, 1965, 1968, Signed by Author; Tasha Tudor Cookbook; Antoinette Pope School Cook Book; Lord Peter Wimsey Cookbook; Our Man in the Kitchen; Pearl’s Kitchen by Pearl Bailey, the New James Beard; Queen Mary Cook Book; Making of a Cook, Madeleine Kamman, 1971; Famous Recipes by Famous People; Chef’s Secret Cook Book; James Beard’s New Fish Cookery, 1976; Frances Parkinson Keyes Cook Book; The French Chef Cookbook, Julia Child; Here Let Us Feast, M.F.K. 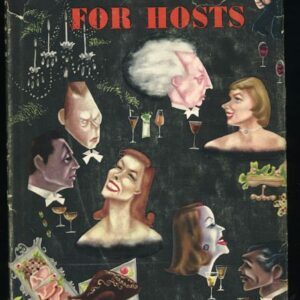 Fisher, 1946; James Beard’s Menus for Entertaining; Mastering the Art of French Cooking; Julia Child & More Company, 1979; A la Rector; Nela’s Cookbook, Nela Rubinstein, 1983; Encore: Favorite Dishes of World’s Most Famous Musicians, 1958; World’s 100 Best Recipes, Roland Goock, 1971, 1973; Firefighter’s Cookbook; Cookbook for Booksellers; Julia Child & Company, 1978; Eating Together: Recollections & Recipes, Lillian Hellman; Food From America’s Bravest–Signed and Numbered First Printing; Cordiall Water, M.F.K. Fisher, 1961, 1963; Barbecue with Beard, 1975; All Manner of Food, Michael Field, 1970, First Edition, First Printing; Bull Cook Authentic Historical Recipes Practices; Chef’s New Secret Cookbook, Louis Szathmary, 1975; Jolie Gabor’s Family Cookbook; Art of Eating, M. F .K. Fisher, 1954; Antoinette Pope School Cookbook, Revised, 1954; Simple French Cooking for English Homes, 1923; and many more. 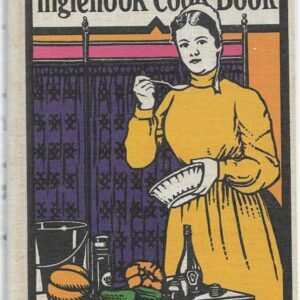 Rector Cook Book: Compliments of Milwaukee Road, 1928, Nearly As-If-New! 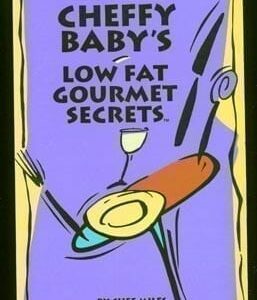 Cross Creek Cookery, First Edition, First Printing, 1942, As-If-New Condition!